Enjoy the Northwoods at its Best! The Mercer area has over 200 lakes within 20 miles of the town. Most lakes have public access. The Turtle Flambeau Flowage is just a few minutes from our door. It is a 19,000 acre haven for the avid fisherman. Or if you prefer, have lots of fun riding on the Snowmobile/ATV trails. 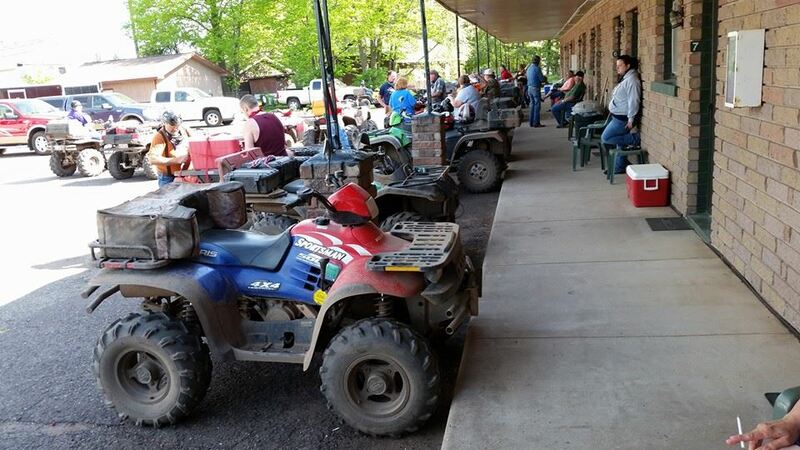 We have direct access to Snowmobile/ATV Trail 17 in downtown Mercer. Free, on site parking for motel guests. Come up to beautiful Mercer, Wisconsin! Free, secure Wi-Fi is now available! Ask for the password when you check in. The rooms have cable TV. The Snowmobile trails in Iron County, Wisconsin are starting to open as of December 6, 2018. The trails are in early season condition. Trail 17 from Mercer to Hurley is open along with several trails in northern Iron County. You can call the Mercer Chamber at 715-476-7669 for the trail report. Call and make your reservation with Betty at 715-476-2330 (or cell 715-904-0533). A group rental cottage is right next to the motel that can be rented by the night, 3 night minimum, or the week. See the rental house page for more info on the cottage. There are lots of places to eat and drink within a block of the motel and a mini-mart is right next door for supplies. There is also a secondhand store, the Paw Shop, which is located just down the street from the motel. Try your luck at fishing on our many lakes and the Turtle/Flambeau Flowage. 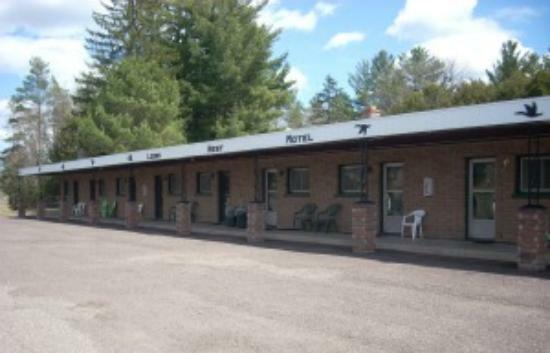 The Loon’s Nest Motel has direct access to Trail 17 (Rail Road Grade) in Downtown Mercer. There is room to park your trailer. ALL ROOMS ARE NO SMOKING (state law)! All of the rooms have air conditioning and small refrigerators. Most also have a microwave. Most of the rooms have 2 double beds, 2 have 1 queen bed. Perfect for what we needed. Super clean, very nice bedding for an economy Motel. On the trail, but right in town. Tavern and gas station next door. Rooms are economy, just enough room for two people. We were in town for work so it wasn't bad. The owner is very nice. Perfect spot for our fishing trip. Comfy beds, a/c, joining rooms, plenty space to park the trailers too.